My girls love sticker charts. A few weeks ago we started using this Dora Toothbrushing chart and have also used this Winter Brush Your Teeth chart. I decided to create one for Thanksgiving week. 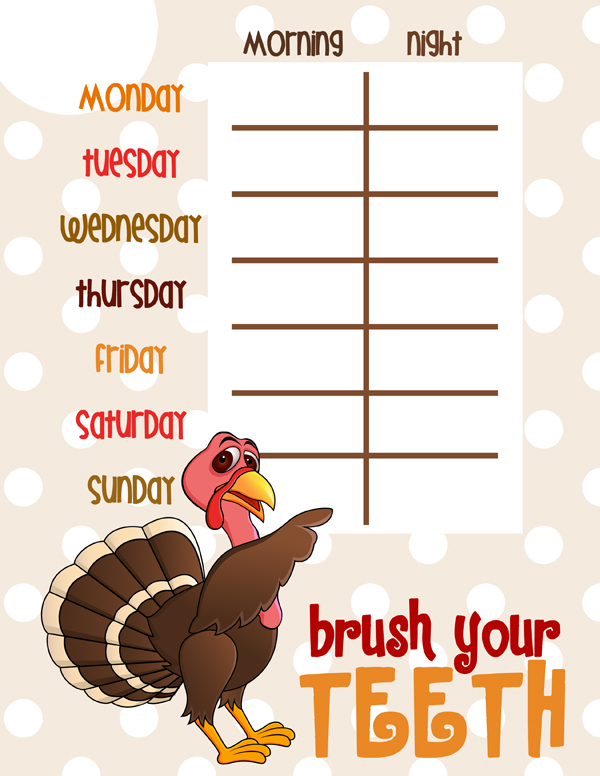 You can download my Thanksgiving Tooth Brushing Chart (PDF).